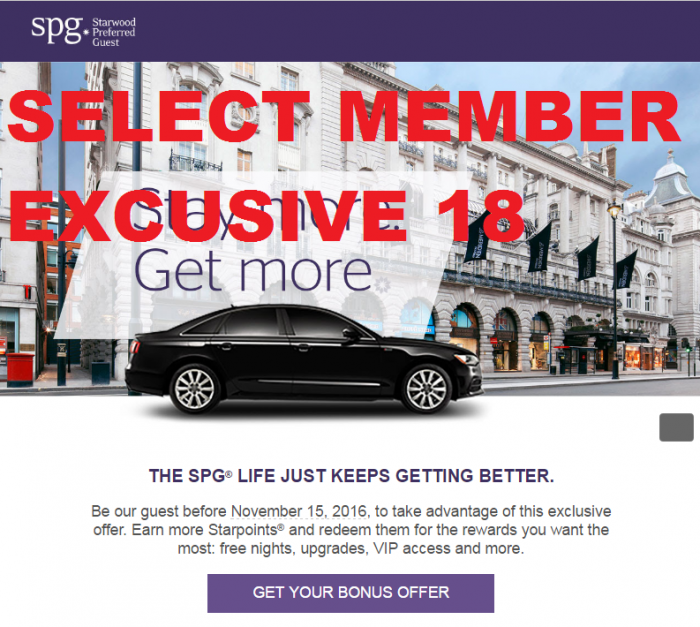 Starwood Preferred Guest (SPG) has launched their latest Select Member Exclusive promotion and numbered it 18 that is valid for stays between August 15 – November 15, 2016, and requires registration by October 15. Seems that most of the SPG members should be eligible for the Select Member Exclusive once in every 12 months. I was targeted once last year and now again.